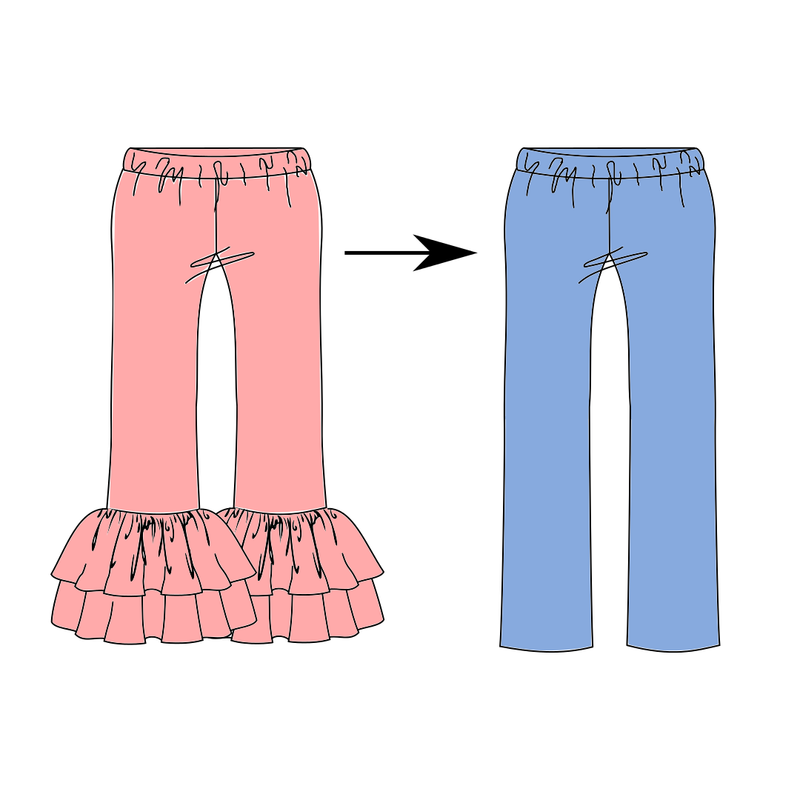 FREE tutorial on how to modify the Mega Ruffle Pants pattern from Jocole to eliminate the ruffe and turn them into straight leg pants. This is how I modify the pattern to use for my son (he's not a fan of ruffles). *** Alternative Fabrics: Consider making your Mega Ruffle Pants out of knit fabrics like: jersey, interlock or rib knit. Makes sure you cut your pieces so that you have 2 opposite front leg pieces and 2 opposite back legs pieces. 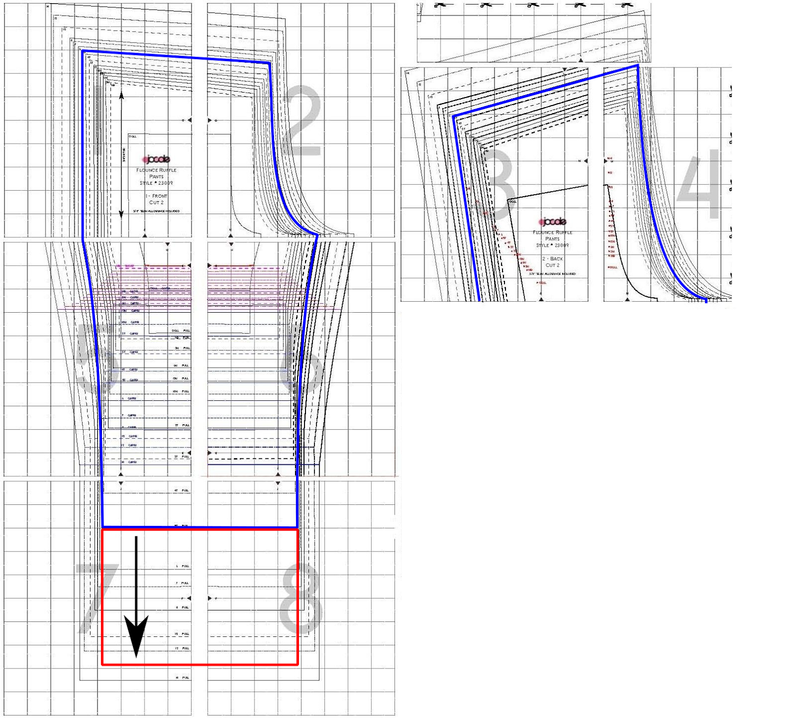 The following picture is shown on a size 5, the blue lines are the original pattern lines, the RED lines are the newer pattern adjustment lines. Compete Steps 1 through 21 shown exactly like in the pdf pattern. Skip steps 22 through 33 (the ruffle instructions). Instead press up the hem 3/4" and topstitch it in place.